Valyou won two of the six categories at The RemTECH Awards 2018. Its panel of judges chose Valyou Mobile Wallet app as the winner of the Technological Innovation Award and the financial technology firm’s Cash-In-Cash-Out (CICO) Business Model as the winner of the End-User Experience Award. 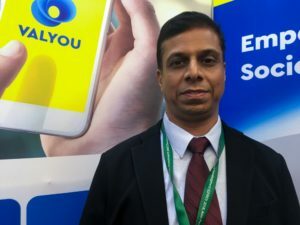 Valyou Acting CEO, Mr Prasanna Rao said, “We built our e-wallet app with the aim of digitalising financial services for migrant communities in Malaysia. Since launching it in 2016, we have been rapidly improving Valyou Mobile Wallet app with insights from customer feedback and usage data. With Valyou Mobile Wallet app, users are able to send money from Malaysia to a bank account or via a cash pickup agent overseas. 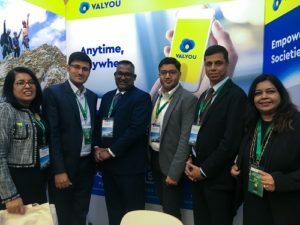 The wallet-to-wallet remittance pioneered by Valyou in Malaysia lets customers send money to Easypaisa accounts in Pakistan and to bKash accounts in Bangladesh. The CICO model enables Malaysian small- and medium-sized businesses to assist their customers with international remittance transactions using Valyou Mobile Wallet app. Valyou has over 2,000 merchants across Malaysia who offer other value-added services such as prepaid top-up and bill payment. Rao added, “This achievement is a recognition of our user-centric products and services and a celebration of the hard work and perseverance of each and every Valyou team member. These awards are a testament to our grand vision of enhancing the lives of our customers and their families back home. The awards were presented at the Global Forum on Remittances, Investment and Development (GFRID) on 8 May 2018 hosted by the World Bank Group, the United Nation’s International Fund for Agricultural Development (IFAD), and the Central Bank of Malaysia. Other winners of the RemTECH Awards 2018 include Rewire (from Israel), SimbaPay (UK), Mahindra Comviva (India), and Trulioo (Canada). Paykii (US), RemitONE (UK) and Koibanx (Argentina) receive special mentions at the awards ceremony. The RemTECH Awards, first held in New York last year, highlights the role of technology in global economic development and market ecosystem diversification, and showcases the advancement in transparency, speed, cost, and reliability of the cross-border payments services. Valyou is licensed and regulated as a money services business (MSB) and approved to issue e-money by Bank Negara Malaysia. The Kuala Lumpur-based financial technology firm is a subsidiary of Telenor Group.